January 30th, 2015 represents Acucraft Fireplaces’ 36th Birthday! We pride ourselves on our world class service and being able to cater to our customers’ unique projects. We feel truly blessed and fortunate to have a great team of employees working for us who go above and beyond every day for all of our clients; we couldn’t do it without all of you! 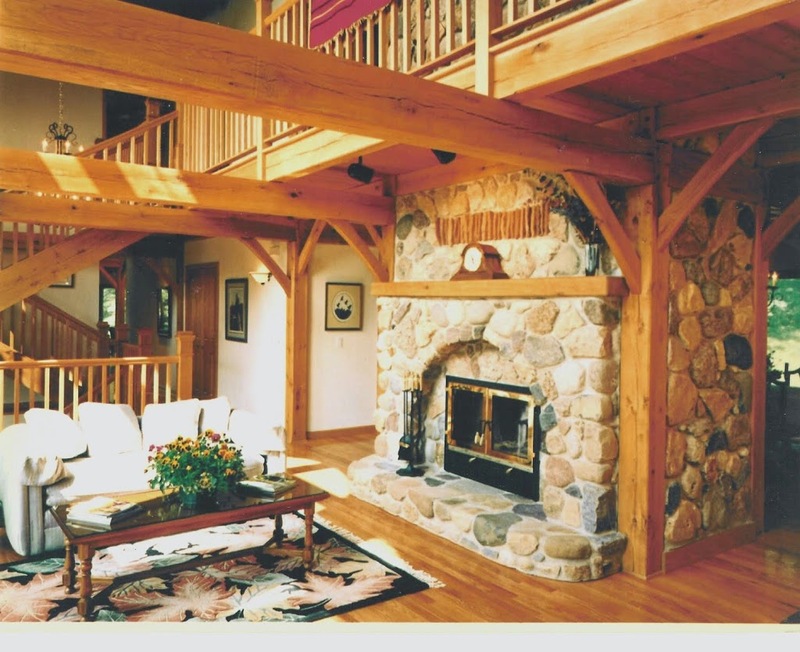 Acucraft’s journey began in the mid-1970’s when our founder, Roger Hansen wanted to find a way to heat his home with an efficient wood burning fireplace due to the high costs of heating. Roger took his idea, drew it out on a napkin, and brought it to a local welder in Big Lake, MN for production. What he didn’t know at the time was that he was changing the fireplace industry and had created an efficient wood burning fireplace that used 100% outside air for combustion by using a 14 tube heat exchange system that could heat a 4,000 sq ft area, which eventually became our Chalet 20 Series. In 1979 Roger sold 50 Chalet 20 Series fireplaces. The business was then sold to an engineer, Charles Dahlgrin who wanted to expand the product line. He began selling to masons, trade shows and fireplace deals. He also birthed the Chalet 30 Series and the Chalet 50 Series. On January 30th, 1997 Chris Maxson took over the business with the intent to dramatically expand Acucraft’s product line by working directly with our customers to fulfill their wants and needs. Thanks to our customers we now offer over 20 wood burning fireplaces, custom wood & gas fireplaces, indoor and outdoor fire options, and we have several patents in custom gas and wood burning fireplaces! At Acucraft, Fire Is Our Passion! We strive to revolutionize the fireplace industry by selling directly to customers, architects, designers, builders and more. We ship direct to your job site, world-wide, and offer on-site support and service options – we want to see your project through from beginning to end! Thank you for an amazing 36 years, here’s to the next 36! New Custom Gas Fireplace Brochure Now Available! Since 1979 Acucraft has been the premier manufacturer of gas and wood burning fireplaces. We work directly with you to make your design a reality. Our custom gas fireplace brochure is a great resource for architects, designers, contractors, homeowners, and fireplace enthusiasts alike! Not only does our brochure provide you with examples of popular gas fireplace styles, but it also gives you an in-depth understanding of the glass options Acucraft offers including our patent-pending Glass Cooling System and our patented Airshield System. Contact us today to receive your complimentary Custom Gas Fireplace Brochure! Request your copy online by clicking here. Click here to view our Custom Gas Fireplace Gallery. 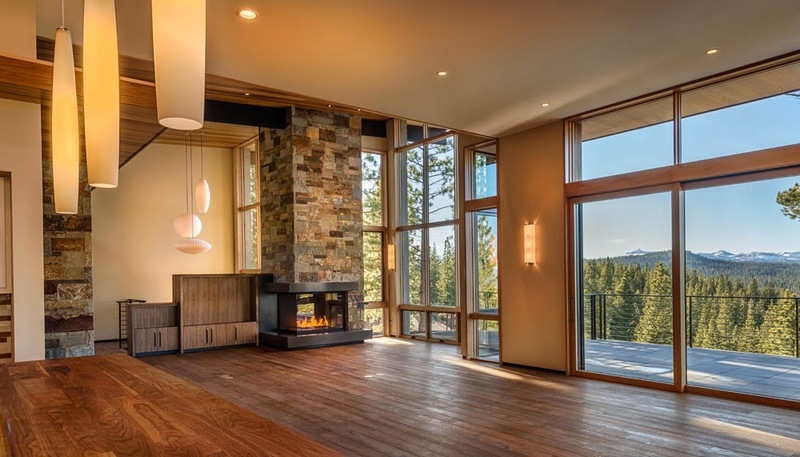 Acucraft Fireplaces created this spectacular custom corner gas fireplace to fit into this grand mountain retreat with stunning views and expansive open space. This property included many modern architectural elements and needed a fireplace with a similar theme for their great room. Acucraft worked closely with Crestwood Construction to make this custom fireplace a reality that fit comfortably within the modern mountain design of this 6,170 sq ft home. 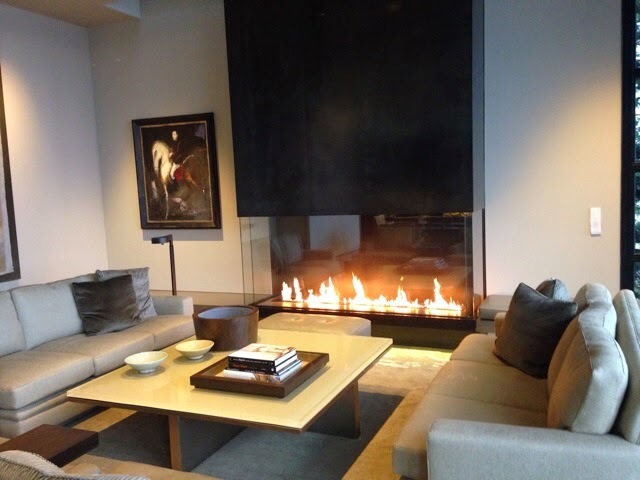 This custom gas fireplace includes a 72″ U-shaped burner with electronic ignition which uses natural gas. It is controlled through an on/off switch on the wall and can use up to 90,000 BTUs depending on the desired flame height. This fireplace was customized with a front viewing area of 50″ wide x 32″ tall and a side viewing area of 35 1/2″ wide x 32″ tall. The firebox is made of 7 gauge steel and is double welded inside & out to create stronger joints and decrease the chance of warping. The Insulated Panel System measures 65″ wide x 41″ deep x 65″ tall. It is is made of a 22 gauge steel studded panel system, and includes an 8″ Heat Relief, 8″ Class A Flue, and an 8″ B-Vent Combustion Air Flue. 80 pounds of copper reflective glass media was placed around the burner to create a lavish and warm presence within the room. Acucraft does a test fire with every fireplace we build to ensure we have captured the type of flame requested by the customer. Working with builders & architects is a common occurrence at Acucraft and we love turning your design into a reality! Learn more about our Custom Gas Fireplaces by requesting your complimentary copy of our Custom Gas Brochure! Looking for more inspiration? 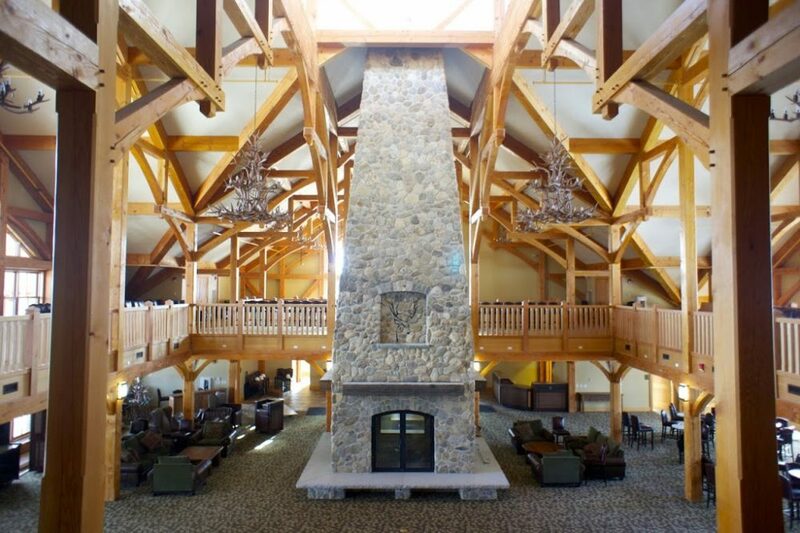 Check out our Fireplace Gallery by clicking here.